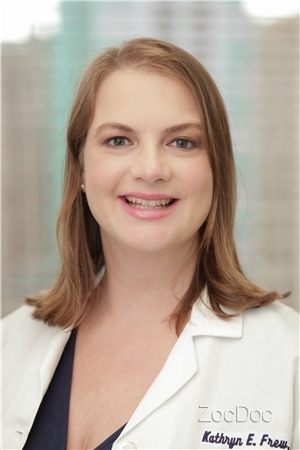 Dr. Frew, an accomplished board certified dermatologist, earned her B.A in biology from Columbia College. Although she was focused on the sciences, while at Columbia Dr. Frew also pursued a minor in art history stemming from her interest in art and aesthetics. She went on to receive an M.D. degree from the prestigious College of Physicians and Surgeons of Columbia University, one of the oldest colleges of medicine in the country. She successfully earned a coveted position as a dermatology resident at the Dartmouth Hitchcock Medical Center of Dartmouth Medical School. She went on to work with Dr. Bruce Katz of the JUVA Skin and Laser Center prior to starting her own practice. Dr. Frew is a fellow of the American Academy of Dermatology, American Contact Dermatitis Society and the Women’s Dermatologic Society. Today Dr. Frew is known by her patients to be a dedicated and compassionate physician. She practices general medical dermatology with a focus on thorough skin checks, acne, rosacea and contact dermatitis. With her belief that “the skin is the window to disease,” Dr. Frew has successfully combined her love for science and medicine with an empathetic approach to caring for her patients – a quality that has earned the respect and admiration from her fellow co-workers and loyal patients. Modern Dermatology Pllc is located in the Wall Street area and Financial District of New York City. We hope to meet you soon.